Álvarez-Fernández A, Díaz-Benito P, Abadía A, López-Millán AF, Abadía J (2014) Metal species involved in long distance metal transport in plants. Front Plant Sci 5, 105 (doi: 10.3389/fpls.2014.00105). Basa B, Lattanzio G, Solti Á, Tóth B, Abadía J, Fodor F, Sárvári É (2014) Changes induced by cadmium stress and iron deficiency in the composition and organization of thylakoid complexes in sugar beet (Beta vulgaris L.). Environ Exp Bot 101, 1-11. (doi: 10.1016/j.envexpbot.2013.12.026) . Correia PJ, Gama F, Saavedra T, Miguel MG, Silva JP da, Abadía A, Varennes A de, Pestana M (2014) Changes in the concentration of organic acids in roots and leaves of carob-tree under Fe depletion. Funct Plant Biol 41, 496-504. (doi: 10.1071/FP13204). El-Jendoubi H, Vázquez S, Calatayud A, Vavpetic P, Vogel-Mikuš K, Pelicon P, Abadía J, Abadía A, Morales F (2014) The effects of foliar fertilization with iron sulfate in chlorotic leaves are limited to the treated area. A study with peach trees (Prunus persica L. Batsch) grown in the field and sugar beet (Beta vulgaris L.) grown in hydroponics. Front Plant Sci 5, 2. (doi: 10.3389/fpls.2014.00002). Flexas J, Carriquí M, Coopman RE, Gago J, Galmés J, Martorell S, Morales F, Díaz-Espejo A (2014) Stomatal and mesophyll conductances to CO2 in different plant groups: underrated factors for predicting leaf photosynthesis responses to climate change? Plant Sci 26, 41-48 (doi: 10.1016/j.plantsci.2014.06.011). Fourcroy P, Sisó-Terraza P, Sudre D, Savirón M, Reyt G, Gaymard F, Abadía A, Abadía J, Álvarez-Fernández A, Briat JF (2014) Involvement of the ABCG37 transporter in secretion of scopoletin and derivatives by Arabidopsis roots in response to iron deficiency. New Phytol 201, 155-167. (doi: 10.1111/nph.12471). Graham NS, Hammond JP, Lysenkoc A, Mayes S, Lochlainn SÓ, Blasco B, Bowen HC, Rawlings CJ, Rios JJ, Welham S, Carion PWC, Dupuy LX, King GJ, White PJ, Broadley MR (2014) Genetical and comparative genomics of Brassica under altered Ca supply identifies Arabidopsis Ca-transporter orthologs. Plant Cell 26, 2818-2830 (doi: 10.1105/tpc.114.128603). Gutierrez-Carbonell E, Takahashi D, Lattanzio G, Rodríguez-Celma J, Soll J, Philippar K, Kehr J, Uemura M, Abadía J, López-Millán A (2014) The distinct functional roles of the inner and outer chloroplast envelope of pea (Pisum sativum) as revealed by proteomic approaches. J Proteome Res 13, 2941–2953 (doi: 10.1021/pr500106s). Irigoyen JJ, Goicoechea N, Antolín MC, Pascual I, Sánchez-Díaz M, Aguirreolea J, Morales F (2014) Growth, photosynthetic acclimation and yield quality in legumes grown under climate change simulations: An updated survey. Plant Sci 226, 22-29 (doi: 10.1016/j.plantsci.2014.05.008). Morales F, Pascual I, Sánchez-Díaz M, Aguirreolea J, Irigoyen JJ, Goicoechea N, Antolín MC, Oyarzun M, Urdiain A (2014) Methodological advances: using greenhouses to simulate climate change scenarios. Plant Sci 226, 30-40 (doi: 10.1016/j.plantsci.2014.03.018). Sobrino-Plata J, Carrasco-Gil S, Abadía J, Escobar C, Álvarez-Fernández A, Hernández LE (2014) The role of glutathione in mercury tolerance resembles its function under cadmium stress in Arabidopsis. Metallomics 6, 356-366. (doi: 10.1039/C3MT00329A). Baslam M, Morales F, Garmendia I, Goicoechea N (2013) Nutritional quality of outer and inner leaves of green and red pigmented lettuces (Lactuca sativa L.) consumed as salads. Sci Hortic 151, 103–111. (doi: 10.1016/j.scienta.2012.12.023). El-Jendoubi H, Abadía J, Abadía A (2013) Assessment of nutrient removal in bearing peach trees (Prunus persica L. Batsch) based on whole tree analysis. Plant Soil 369, 421–437. (doi: 10.1007/s11104-012-1556-1). Gutierrez-Carbonell E, Lattanzio G, Sagardoy R, Rodríguez-Celma J, Ríos JJ, Matros A, Abadía A, Abadía J, López-Millán A-F (2013) Changes induced by zinc toxicity in the 2-DE protein profile of sugar beet roots. J Proteomics 94, 149-161. (doi: 10.1016/j.jprot.2013.09.002). Kchaou H, Larbi A, Chaieb M, Sagardoy R, Msallem M, Morales F (2013) Genotypic differentiation in the stomatal response to salinity and contrasting photosynthetic and photoprotection responses in five olive (Olea europaea L.) cultivars. Sci Hortic 160, 129-138. (doi: 10.1016/j.scienta.2013.05.030). Lattanzio G, Andaluz S, Matros A, Calvete JJ, Kehr J, Abadía A, Abadía J, López-Millán AF (2013) Protein profile of Lupinus texensis phloem sap exudates: searching for Fe and Zn containing proteins. Proteomics 13, 2283-2296. (doi: 10.1002/pmic.201200515). López-Millán A-F, Grusak MA, Abadía A, Abadía J (2013) Iron deficiency in plants: an insight from proteomic approaches. Front Plant Sci 4, 254. (doi: 10.3389/fpls.2013.00254). Lucas WJ, Groover A, Lichtenberger R, Furuta K, Yadav S-R, Helariutta Y, He X-Q, Fukuda H, Kang J, Brady SM, Patrick JW, Sperry J, Yoshida A, López-Millán AF, Grusak MA, Kachroo P. (2013) The plant vascular system: evolution, development and functions. J Integr Plant Biol 55, 294-388. (doi: 10.1111/jipb.12041). Niculcea M, Martínez-Lapuente L, Guadalupe Z, Sánchez-Díaz M, Morales F, Ayestarán B, Antolín MC (2013) Effects of water deficit irrigation on hormonal content and nitrogen compounds in developing berries of Vitis vinifera L. cv. Tempranillo. J Plant Growth Reg 32, 551-563. (doi: 10.1007/s00344-013-9322-z). Peguero-Pina JJ, Gil-Pelegrín E, Morales F (2013) Three pools of zeaxanthin in Quercus coccifera leaves during light transitions with different roles in rapidly reversible photoprotective energy dissipation and photoprotection. J Exp Bot 64, 1649-1661. (doi: 10.1093/jxb/ert024). Rodríguez-Celma J, Lattanzio G, Jiménez S, Briat JF, Abadía J, Abadía A, Gogorcena Y, López- Millán AF (2013) Changes induced by Fe deficiency and Fe resupply in the root protein profile of a peach-almond hybrid rootstock. J Proteome Res 12, 1162–1172. (doi: 10.1021/pr300763c). Rodríguez-Celma J, Lin W-D, Fu G-M, Abadía J, López-Millán A-F, Schmidt W (2013) Mutually exclusive alterations in secondary metabolism are critical for the uptake of insoluble iron compounds by Arabidopsis and Medicago truncatula. Plant Physiol 162, 1473-1485. (doi: ​10.1104/pp.113.220426). Sudre D, Gutierrez-Carbonell E, Lattanzio G, Rellán-Álvarez R, Gaymard F, Wohlgemuth G, Fiehn O, Álvarez-Fernández A, Zamarreño AM, Bacaicoa E, Duy D, García-Mina JM, Abadía J, Philippar K, López-Millán AF, Briat JF (2013) Iron-dependent modifications of the flower transcriptome, proteome, metabolome and hormonal content in an Arabidopsis ferritin mutant. J Exp Bot 64, 2665-2688. (doi: 10.1093/jxb/ert112). Morales F, Abadía J, Abadía A (2013) Thermal energy dissipation in plants under unfavorable soil conditions. In Demmig-Adams B, Garab G, Adams WW, Govindjee (eds), pp 605-630. Advances in photosynthesis and respiration: Non-photochemical Fluorescence Quenching. Springer. ISBN: 978-94-017-9031-4. El-Jendoubi H, Abadía J, Abadía A (2013) Estimación de las necesidades de nutrientes en frutales de hoja caduca: el caso del melocotonero. Vida Rural 32-36 (Febrero 2013). Baluja J, Diago MP, Balda P, Zorer R, Meggio F, Morales F, Tardáguila J (2012) Assessment of vineyard water status variability by thermal and multispectral imagery using an unmanned aerial vehicle (UAV). Irrig Sci 30, 511-522. (doi: 10.1007/s00271-012-0382-9). El-Jendoubi H, Igartua E, Abadía J, Abadía A (2012) Prognosis of iron chlorosis in pear (Pyrus communis L.) and peach (Prunus persica L. Batsch) trees using bud, flower and leaf mineral concentrations. Plant Soil 354, 121-139. (doi: 10.1007/s11104-011-1049-7). Klein MA, López-Millán AF, Grusak MA (2012) Quantitative trait locus analysis of root ferric reductase activity and leaf chlorosis in the model legume, Lotus japonicus. Plant Soil 351, 363-376. (doi: 10.1007/s11104-011-0972-y). López-Millán AF, Grusak MA, Abadía J (2012) Carboxylate metabolism changes induced by Fe deficiency in barley, a Strategy II plant species. J Plant Physiol 169, 1121-1124. (doi: 10.1016/j.jplph.2012.04.010). Navascués J, Pérez-Rontomé C, Sánchez DH, Staudinger C, Wienkoop S, Rellán-Álvarez R, Becana M (2012) Oxidative stress is a consequence, not a cause, of aluminum toxicity in the forage legume Lotus corniculatus. New Phytol 193, 625-636. (doi: 10.1111/j.1469-8137.2011.03978.x). Ojeda-Barrios D, Abadía J, Lombardini L, Abadía A, Vázquez S (2012) Zinc deficiency in field-grown pecan trees: changes in leaf nutrient concentrations and structure. J Food Sci Agric 92, 1672-1678. (doi: 10.1002/jsfa.5530). Pestana M, Correia PJ, Saavedra T, Gama F, Abadía A, de Varennes A (2012) Development and recovery of iron deficiency by iron resupply to roots or leaves of strawberry plants. Plant Physiol Biochem 53, 1-5. (doi: 10.1016/j.plaphy.2012.01.001). Peukert M, A Matros, Lattanzio G, Kaspar S, Abadía J, Mock H-P (2012) Spatially resolved analysis of small molecules by matrix-assisted laser desorption/ionization mass spectrometric imaging (MALDI-MSI). New Phytol 193, 806-815. (doi: 10.1111/j.1469-8137.2011.03970.x). Salazar Parra C, Aguirreolea J, Sánchez-Díaz M, Irigoyen J, Morales M (2012) Climate change (elevated CO2, elevated temperature and moderate drought) triggers the antioxidant enzymes’ response of grapevine cv. Tempranillo, avoiding oxidative damage. Physiol Plant 144, 99-110. (doi: 10.1111/j.1399-3054.2011.01524.x). Salazar-Parra C, Aguirreolea J, Sánchez-Díaz M, Irigoyen JJ, Morales FM (2012) Photosynthetic response of Tempranillo grapevine to climate change scenarios. Ann Appl Biol 161, 277–292. (doi: 10.1111/j.1744-7348.2012.00572.x). Schuler M, Rellán-Álvarez R, Fink-Straube C, Abadía J, Bauer P (2012) Nicotianamine functions in the phloem-based transport of iron to sink organs, in pollen development and in pollen tube growth in Arabidopsis. Plant Cell 24, 2380-2400. (doi: 10.1105/tpc.112.099077). JM Ducruet, M Barón, EH DeLucia, F Morales, TD Sharkey (2012) Optical methods for investigation of leaf photosynthesis. In Flexas J, Loreto F, Medrano H (eds), Terrestrial Photosynthesis in a Changing Environment. A Molecular, Physiological and Ecological Approach, 133-154. Cambridge University Press. F Valladares, JI García-Plazaola, F Morales, Ü Niinemets (2012) Photosynthetic responses to radiation. In Flexas J, Loreto F, Medrano H (eds), Terrestrial Photosynthesis in a Changing Environment. A Molecular, Physiological and Ecological Approach, 243-260. Cambridge University Press. F Morales, CR Warren (2012) Photosynthetic responses to nutrient deprivation and toxicities. In Flexas J, Loreto F, Medrano H (eds), Terrestrial Photosynthesis in a Changing Environment. A Molecular, Physiological and Ecological Approach, 316-334. Cambridge University Press. Abadía J, Vázquez S, Rellán-Álvarez R, El-Jendoubi H, Abadía A, Álvarez-Fernández A, Ana Flor López-Millán AF (2011) Towards a knowledge-based correction of iron chlorosis. Plant Physiol Biochem 49, 471-482. (doi: 10.1016/j.plaphy.2011.01.026). Álvarez-Fernández A, Melgar JC, Abadía J, Abadía A (2011) Effects of moderate and severe iron deficiency chlorosis on fruit yield, appearance and composition in pear (Pyrus communis L.) and peach (Prunus persica L. Batsch). Environ Exp Bot 71, 280-286. (doi: 10.1016/j.envexpbot.2010.12.012). Carrasco-Gil S, Álvarez-Fernández A, Sobrino-Plata J, Millán R, Carpena-Ruiz RO, LeDuc DL, Andrews JC, Abadía J,Hernández LE (2011) Complexation of Hg with phytochelatins is important for plant Hg tolerance. Plant Cell Environ 34, 778-791. (doi: 10.1111/j.1365-3040.2011.02281.x). El-Jendoubi H, Melgar JC, Álvarez-Fernández A, Sanz M, Abadía A, Abadía J (2011) Setting good practices to assess the efficiency of iron fertilizers. Plant Physiol Biochem 49, 483-488. (doi: 10.1016/j.plaphy.2011.02.013). Gogorcena Y, Larbi A, Andaluz S, Carpena RO, Abadía A, Abadía J (2011) Effects of cadmium on cork oak (Quercus suber L.) plants grown in hydroponics. Tree Physiol 31, 1401-1412. (doi: 10.1093/treephys/tpr114). Hernández-Clemente R, Navarro-Cerrillo RM, Suárez L, Morales F, Zarco-Tejada PJ (2011) Assessing structural effects on PRI for stress detection in conifer forests. Remote Sensing Environ 115, 2360-2375. (doi: 10.1016/j.rse.2011.04.036). Jiménez S, Ollat N, Deborde C, Maucourt M, Rellán-Álvarez R, Moreno M, Gogorcena Y (2011) Metabolic response in roots of Prunus rootstocks submitted to iron chlorosis. J Plant Physiol 168, 415-423. (doi: 10.1016/j.jplph.2010.08.010). Pestana M, Correia PJ, David M, Abadía A, Abadía J, de Varennes A (2011) Response of five citrus rootstocks to iron deficiency. J Plant Nutr Soil Sci 174, 837-846. (doi: 10.1002/jpln.201000341). Rellán-Álvarez R, López-Gomollón S, Abadía J, Álvarez-Fernández A (2011) Development of a new high-performance liquid chromatography-electrospray ionization time-of-flight mass spectrometry method for the determination of low molecular mass organic acids in plant tissue extracts. J Agric Food Chem, 59, 6864-6870. (doi: 10.1021/jf200482a). Rellán-Álvarez R, El-Jendoubi H, Wohlgemuth G, Abadía A, Fiehn O, Abadía J, Álvarez Fernández A (2011) Metabolite profile changes in xylem sap and leaf extracts of strategy I plants in response to iron deficiency and resupply. Front Plant Sci 2, 66. (doi: 10.3389/fpls.2011.00066). Rodríguez-Celma J, Lattanzio G, Grusak MA, Abadía A, Abadía J, López-Millán AF (2011) Root responses of Medicago truncatula plants grown in two different iron deficiency conditions: changes in root protein profile and riboflavin biosynthesis. J Proteome Res 10, 2590-2601. (doi: 10.1021/pr2000623). Rodríguez-Celma J, Vázquez-Reina S, Orduna J, Abadía A, Abadía J, Álvarez-Fernández A, López-Millán AF (2011) Characterization of flavins in roots of Fe-deficient Strategy I plants, with a focus on Medicago truncatula. Plant Cell Physiol 52, 2173-2189. (doi: 10.1093/pcp/pcr149). Sagardoy R, Morales F,Rellán-Álvarez R, Abadía J, Abadía A, López-Millán AF (2011) Carboxylate metabolism in sugar beet plants grown with excess Zn. J Plant Physiol 168, 730–733. (doi: 10.1016/j.jplph.2010.10.012). Álvarez-Fernández A, Melgar JC, Larbi A, Abadía J, Abadía A (2011) Efectos de la clorosis férrica en la producción, apariencia y composición química de los frutos. Vida Rural 323, 44-48. Esteso-Martínez J, Peguero-Pina JJ, Valladares F, Morales F, Gil-Pelegrín E (2010) Shelf-shading in cork oak seedlings: functional implications in heterogeneous light environments. Acta Oecologica 4, 423-430. (doi: 10.1016/j.actao.2010.04.003). Kchaou H, Larbi A, Gargouri K, Chaieb M, Morales F, Msallem M (2010) Assessment of tolerance to NaCl salinity of five olive cultivars, based on growth characteristics and Na+ and Cl– exclusion mechanisms. Sci Hortic 124, 306-315. (doi: 10.1016/j.scienta.2010.01.007). Larbi A, Morales F, Abadía A, Abadía J (2010) Changes in organic acid and iron concentrations in xylem sap and apoplastic fluid of iron-deficient Beta vulgaris plants in response to iron resupply. J Plant Physiol 167, 255-260. (doi: 10.1016/j.jplph.2009.09.007). Orera I, Orduna J, Abadía J, Álvarez-Fernández A (2010) Electrospray ionization collision-induced dissociation mass spectrometry: a tool to characterize synthetic polyaminocarboxylate ferric chelates used as fertilizers. Rapid Commun Mass Sp 24, 109-119. (doi: 10.1002/rcm.4361). Orera I, Rodríguez-Castrillón JA, Moldovan M, García-Alonso JI, Abadía A, Abadía J, Álvarez-Fernández A (2010) Using a dual-stable isotope tracer method to study the uptake, xylem transport and distribution of Fe and its chelating agent from stereoisomers of an Fe(III)-chelate used as fertilizer in Fe-deficient Strategy I plants. Metallomics 2, 646-657. (doi: 10.1039/C0MT00018C). Pascual I, Azcona I, Morales F, Aguirreolea J, Sánchez-Díaz M (2010) Photosynthetic response of pepper plants to wilt induced by Verticillium dahliae and soil water deficit. J Plant Physiol 167, 701-708. (doi: 10.1016/j.jplph.2009.12.012). Pascual I, Azcona I, Aguirreolea J, Morales F, Corpas FJ, Palma JM, Rellán-Álvarez R, Sánchez-Díaz M (2010) Growth, yield and fruit quality of pepper plants amended with two sanitized sewage sludges. J Agric Food Chem 58, 6951-6959 (doi: 10.1021/jf100282f). Rellán-Álvarez R, Andaluz S, Rodríguez-Celma J, Wohlgemut G, Zocchi G, López-Millán A-F, Fiehn O, Álvarez-Fernández A, Abadía J (2010) Changes in the proteomic and metabolic profiles of Beta vulgaris root tips in response to iron deficiency and resupply. BMC Plant Biol 10:120. (http://www.biomedcentral.com/1471-2229/10/120). Rellán-Álvarez R, Giner-Martínez-Sierra J, Orduna J, Orera I, Rodríguez-Castrillón JA, García-Alonso JI, Abadía J,Álvarez-Fernández A (2010) Identification of a tri-iron(III), tri-citrate complex in the xylem sap of iron-deficient tomato resupplied with iron: new insights into plant iron long-distance transport. Plant Cell Physiol 51, 91-102. (doi: 10.1093/pcp/pcp170). Rodríguez-Celma J, Rellán-Álvarez R, Abadía A, Abadía J, López-Millán A-F (2010) Changes induced by two levels of cadmium toxicity in the 2-DE protein profile of tomato roots. J Proteomics 73, 1694-1706. (doi: 10.1016/j.jprot.2010.05.001). Sagardoy R, Vázquez S, Florez-Sarasa ID, Ribas-Carbó M, Flexas J, Abadía J, Morales F (2010) Stomatal and mesophyll conductances to CO2 are the main limitations to photosynthesis in sugar beet (Beta vulgaris) plants grown with excess zinc. New Phytol 187, 145-158. (doi: 10.1111/j.1469-8137.2010.03241.x). Salazar-Parra C, Aguirreolea J, Sánchez-Díaz M, Irigoyen JJ, Morales F (2010) Effects of climate change scenarios on Tempranillo grapevine (Vitis vinifera L.) ripening: response to a combination of elevated CO2 and temperature, and moderate drought. Plant Soil, 337, 179-191. (doi: 10.1007/s11104-010-0514-z). Suárez L, Zarco-Tejada PJ, González-Dugo V, Berni JAJ, Sagardoy R, Morales F, Fereres E (2010) Detecting water stress effects on fruit quality in orchards with time-series PRI airborne imagery. Remote Sens Environ 114, 286-298. (doi: 10.1016/j.rse.2009.09.006). Vilagrosa A, Morales F, Abadía A, Bellot J, Cochard H, Gil-Pelegrín E (2010) Are symplast tolerance to intense drought conditions and xylem vulnerability to cavitation coordinated? An integrated analysis of photosynthetic, hydraulic and leaf-level processes in two Mediterranean drought-resistant species. Environ Exp Bot 69, 233-242. (doi: 10.1016/j.envexpbot.2010.04.013). Ben Khelil M, Larbi A, Mustapha S, del Río V, Abadía J, Abadía A, Msallem M (2010) The use of inflorescence analysis to evaluate the nutritional status of olive trees. Acta Hortic 868, 237-241. ISBN: 978-90-66054-69 1. Kodad O, Socias i Company R, Morales F (2010) Evaluation of almond flower tolerance to frosts by chlorophyll fluorescence. Options méditerranéennes, Series A: Mediterranean Seminars 2010 – Number 94. XIV GREMPA Meeting on Pistachios and Almonds, pp. 141- 145. CIHEAM. Rodríguez-Maza MJ, Garcés-Claver A, Orduna J, Álvarez-Fernández A, Arnedo-Andrés MS (2010) Análisis del perfil de capsicinoides en germoplasma de Capsicum spp. 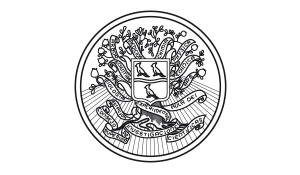 Actas de Horticultura 52, pp. 152.